Now Open!! Enrolling Spring Season Summer Camps Also Enrolling Now! Rock 101 is for beginners 7-12 years of age. No experience needed. Students will explore their instruments through musical games and activities. Want to play in a band on stage? Our Rock 101 Camp is designed for beginners 7-12 years of age. No experience necessary! Students will explore their instruments through musical games and activities. 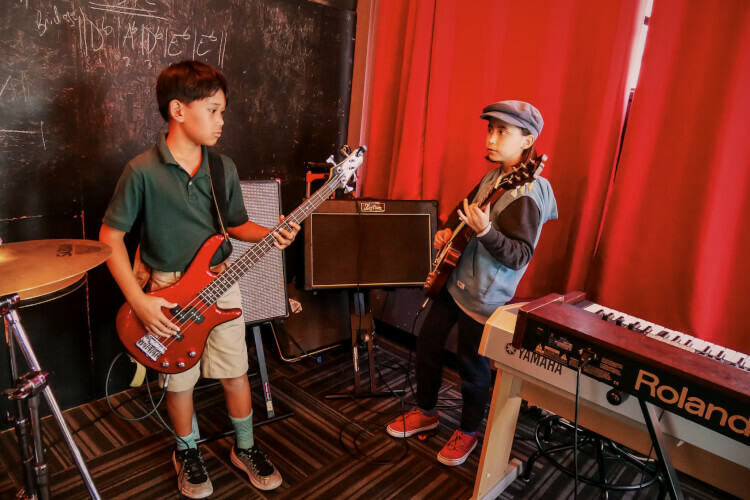 Our nurturing environment makes this the perfect camp for budding musicians. Students will work on songs Monday through Friday and the camp will culminate in a concert at the end of the week for family and friends!